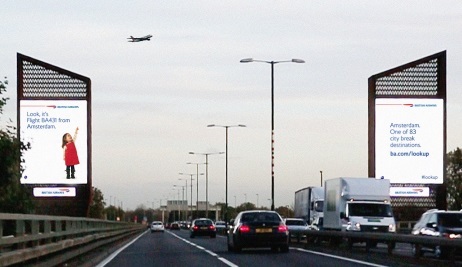 Having produced one of the most memorable television ads of all time, British Airways has led the way again, this time in outdoor advertising. 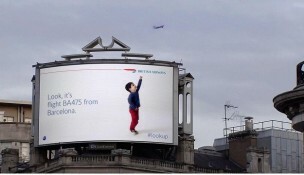 The airline’s new ‘#lookup’ digital billboards in Chiswick, west London, and Piccadilly Circus, central London, shows a video of a toddler who points to the sky whenever a BA plane flies above. AND it shows the people on the ground where the flight is coming from, or going to. Very clever, and just one more way to get holiday envy.